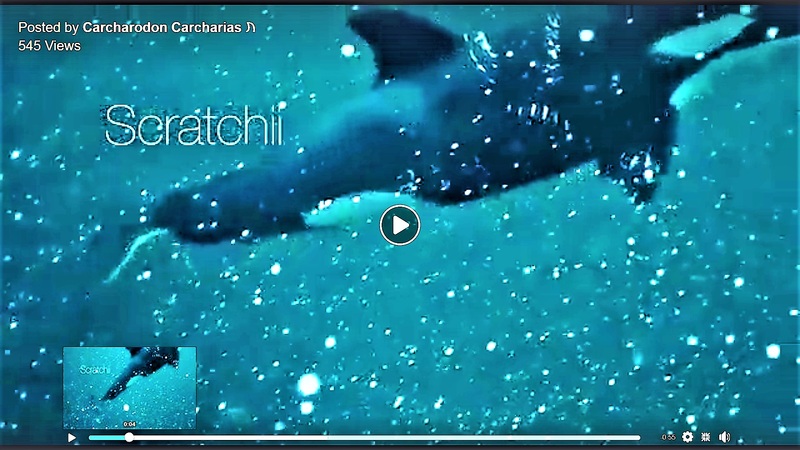 On November 30th, the Facebook page known as Carcharodon Carcharias released a video* of a pair of killer whales swimming through a sea of detritus. The female was the main subject, and was followed by a large male that swam below her, keeping her company and, presumably, protecting her. The cow Orca was visibly wounded – her body riddled with puncture marks – and she was missing a good portion of her right pectoral fin. She was also extremely thin and malnourished, “peanut head” being the term marine biologists use to indicate her loss of cranial mass. The following video was filmed in my office by aiming a digital camera at the monitor and doing narration, while playing shots from the aforementioned clip as well as a few still images. It’s crude, but it sheds light on what may be an astonishing bit of evidence. 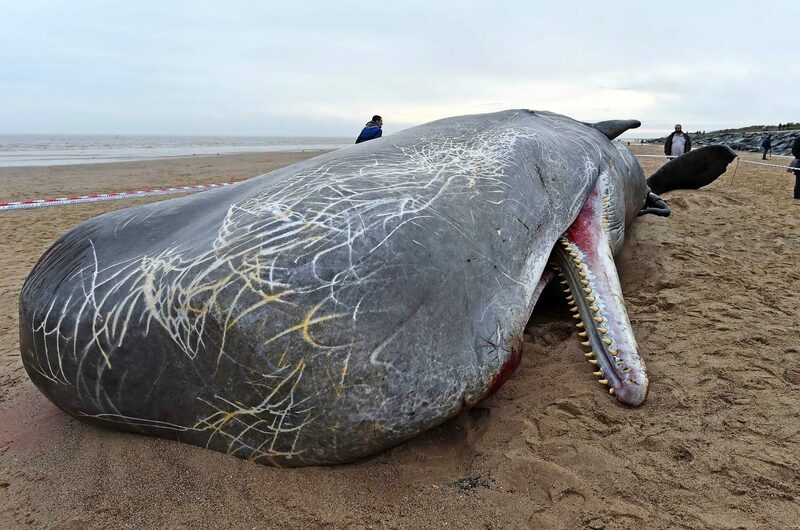 Is there a population of “extinct” marine animals still at large in our oceans? Is there another explanation for the Orca’s assorted wounds and condition? You be the judge. As I said during my video, I don’t believe a boat prop or net caused the damage to this animal. This is what an Orca looks like that has suffered prop wounds. Boat propeller scars on an Orca (left). Image credit: on image. And this is some of the damage the killer whale sustained. 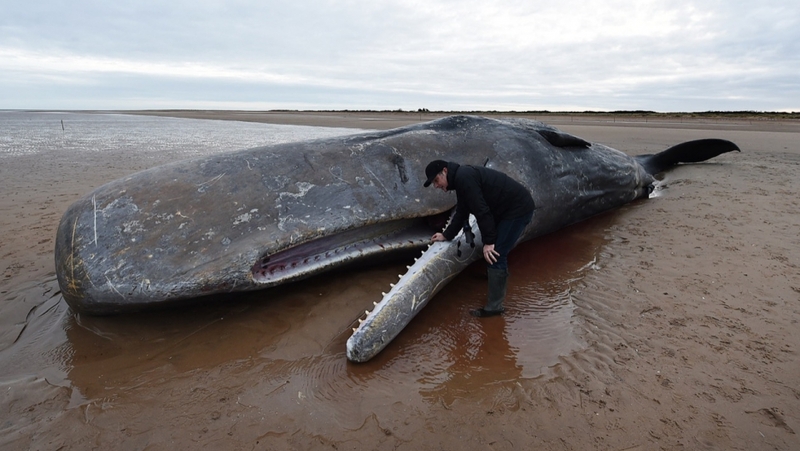 I also do not believe a sperm whale was responsible, as bite marks from sperms look far different, as evidenced by the mating-conflict-related scars on this beached bull. 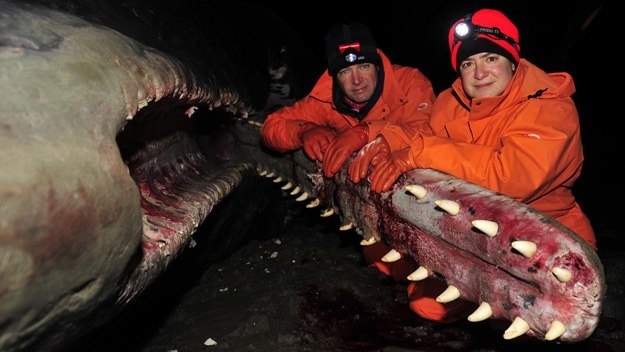 I also do not believe a sperm whale’s narrow jaw fits the wedge-shaped bite mark that tops the killer whale’s dorsal region (assuming the Orca was upside down when it was bitten. A cow Orca’s fin is about 3 feet high – pretty much the width of the bite mark at its widest point. As this image of a 50-foot sperm shows, the lower jaw is perhaps 16 inches wide at most, and probably narrower where the teeth are implanted. Even a 66-foot sperm would not have a mandible 3’ thick, nor would it have the wedge-shape the bite mark (actually a pair of bite marks, as the attacker bit twice) indicates. The more widely-spaced and blunter tooth of a cachalot also tend to eliminate it as a potential candidate. 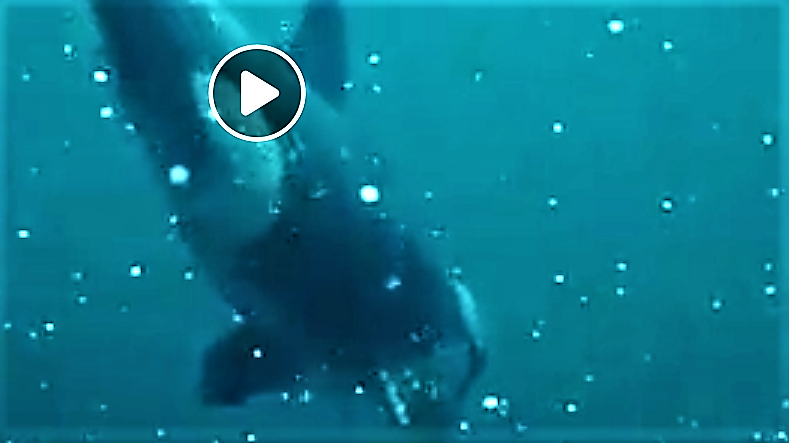 I tried zooming in on a still of the Orca from below – a difficult prospect, as the image is small and grainy to begin with – but there does seem to be a faint indication of damage to the opposite side of the body, matching the tooth punctures on the right rear flank. If so, this is definite evidence of an attacker with both mandibular and maxillary teeth. Underside of the wounded Orca, showing possible opposing tooth marks. 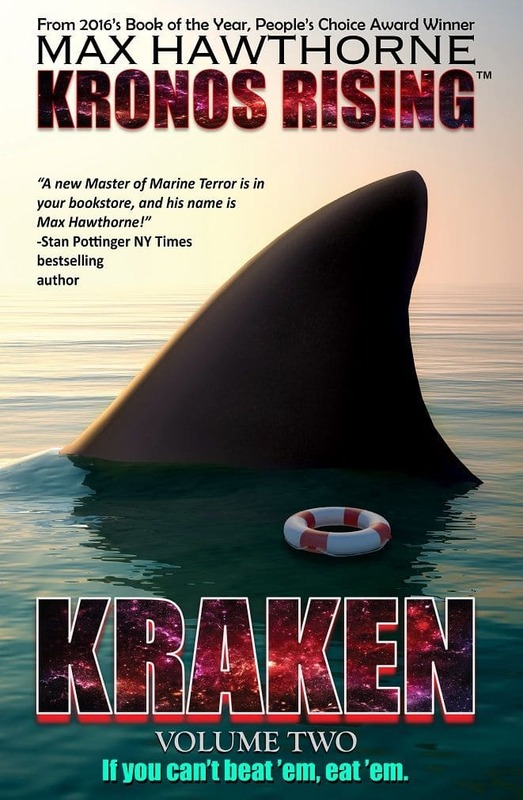 Shark bites, marks left by nets, a “Megalodon strike” … These are all so far south of what shows on the Orca that they’re not even worth addressing. The more I look at these marks, the more I feel that – as astonishing as it may seem – some sort of marine reptile, probably a sea crocodile or mosasaur, appears to be the only plausible explanation. 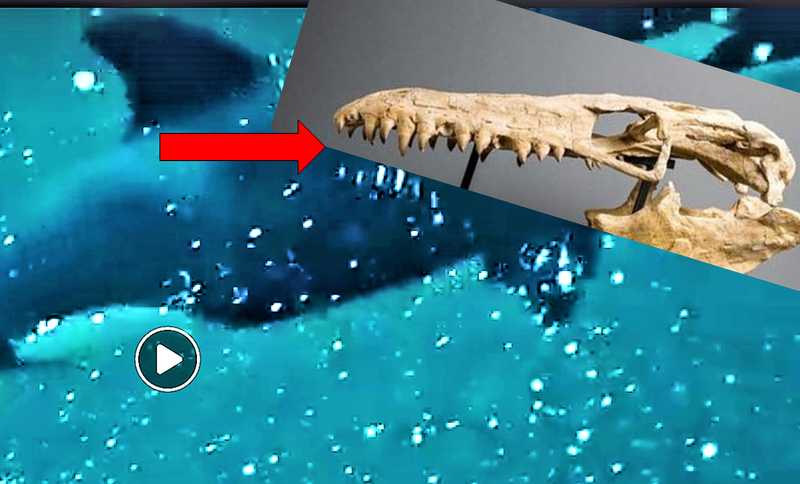 In an attempt to do a little forensic work, I took cryptozoologist Scott Mardis’s advice and took an image of a mosasaur jaw and compared it to the bite marks on the killer whale’s right flank. I cropped an image of the skull of Prognathodon, a macropredatory mosasaur confirmed to have reached 40’ in length (I have recently been privy to evidence suggesting it could reach nearly 60 feet) and scaled it to around 8 feet in length. Amazingly, the teeth matched perfectly in terms of placement. The only ones that don’t are missing, and as can be seen from the empty sockets, they would match as well. Single frame from the film with a Prognathodon skull inserted for comparison. 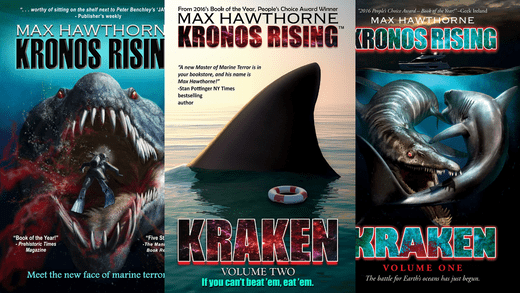 Does this provide 100% proof that a relict population of extant mosasaurs – or some similar creature – still exists? Perhaps not, but when combined with a long list of sightings of said creatures, it certainly makes for one convincing argument. Certainly, something attacked that cow Orca this past year. I would value feedback from paleontologists and marine biologists and encourage them to post their thoughts on the subject.